This is one of the most popular exercise pins on Pinterest. However, if you aren’t a fitness professional you may not know what the heck these moves are! I have received several questions about the exercises on this list. SO, I thought I would break them down into a series of posts. For your Convenience we will be breaking it down one day at a time Starting with Saturday (since that’s tomorrow). 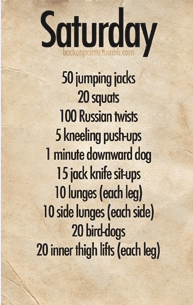 Try to do these in a circuit fashion. One exercise after the other (1 set). After you have finished the round, rest for 1-2 minutes and repeat it a total of 3 times. If you think the exercises are too easy then add weight or add a 4th set! We help this answers some of the questions you’ve had about this pinterest post. 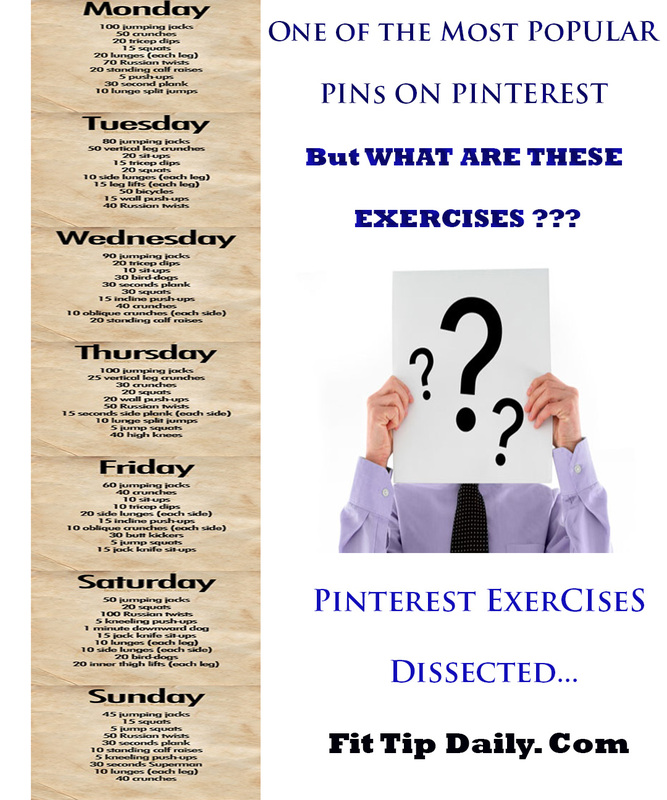 Use these exercise to your advantage and watch for follow up posts as we dissect and explain the other days on this pin. It's not Saturday but I thought I would try this out... 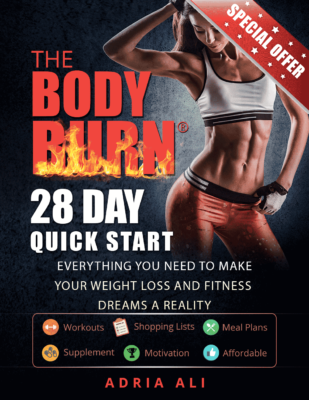 Thank you Fit Tip for helping me find some motivation!